As an experienced healthcare practitioner with over 30 years' experience, Christine Sullivan, Ph.D., CNM, FNP-BC, has an unmatched dedication to her patients' physical and psychological health. 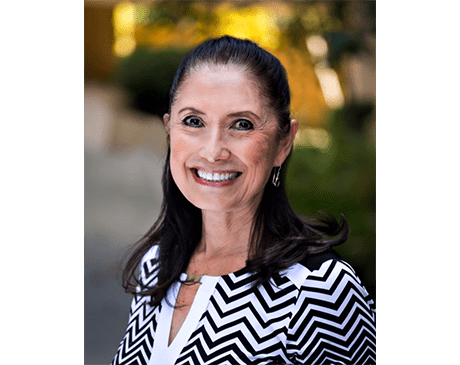 She offers a variety of therapeutic and traditional services at Center Point Medicine in La Jolla, California. Christine takes an integrative approach to treating chronic pain and cognitive behavior issues and establishing mental balance. She utilizes a variety of treatments to facilitate long-term change to ensure patients enjoy full, happy lives and physical and mental health. Through her positive coaching methods, Christine has changed many lives for the better, teaching necessary living and coping skills to those suffering the effects of postpartum depression, anxiety, and stress. She is also skilled in managing symptoms of gynecological problems, including endometriosis pain, pelvic pain syndrome, hormonal changes of pregnancy and menopause, and premenstrual dysphoric disorder. Christine has made it her life’s mission to guide each of her patients to a more positive lifestyle filled with fulfilling relationships and optimal health and wellness balance. She believes fully in healing oneself from the inside out.